As a world leader in advanced non-destructive testing (NDT) technologies, Eddyfi Technologies is thrilled to confirm the acquisition of Inuktun, a well-known developer and manufacturer of remotely operated crawlers and camera systems. 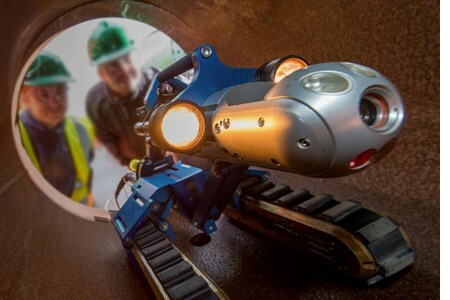 Headquartered in Nanaimo, BC (Canada), with 30 years’ experience, Inuktun offers robotic systems that bridge the gap between NDT inspectors and the physical world, helping customers see the unseen and safely go beyond physical inspection limitations. Inuktun has 70 employees and locations in Houston, Texas, with significant presence with partners in Aberdeen, Scotland and Perth, Australia. The transaction officially moves Inuktun within the Eddyfi Technologies group. Sales and service for Inuktun systems, training, product rentals, equipment calibration and repair, as well as support services will now be provided by the enlarged Eddyfi Technologies team. All Inuktun staff joins Eddyfi Technologies, with the Inuktun staff in the US relocating to Eddyfi Technologies’ offices in Houston, Texas.